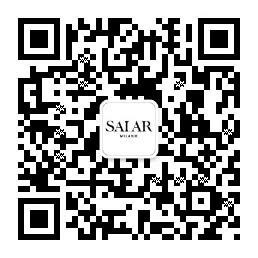 SALAR.IT ships worldwide using GLS, DHL and FEDEX. Items that are already available will be dispatched in 1-2 business days (Monday-Friday) following order completion. SALAR MILANO S.r.l. cannot be held responsible for delays in shipments caused by weather conditions, international customs issues or any other circumstances beyond the control of SALAR MILANO S.r.l. . When the order is shipped, Clients receive an email from SALAR.IT specifying the tracking number. In the event of delays in Customs, Clients will be notified directly by the courier and/or SALAR.IT. Upon delivery of every order, Clients are asked to inspect the box carefully BEFORE signing for the delivery. SALAR.IT packages are carefully sealed with a SALAR.IT logo printed tape around the sides of the box. If for any reason the box looks tampered with, either sign for the package with reservations or refuse the package. In the event that the box has been signed for with an unauthorized signature or there is evidence that the package has been tampered with, open a claim immediately with the courier and contact SALAR.IT at support@salar.it. . If the package is damaged or if an item is missing from inside, the packaging must be kept for further verification. Any claim regarding damages, missing merchandise and/or delivery to the wrong address, must be received by SALAR.IT within 10 days from the order’s delivery date on the carrier’s website, otherwise the claim will not be accepted. If the package is not successfully delivered to the Client’s address due to a lack of cooperation from the Client (wrong telephone number, wrong address, absent at address, non-compliance with import regulations) as per the SALAR.IT commercial agreement, the package may risk being sent back to Italy at the Client’s expense including any import fees that may be assessed upon re-entry to Italy. These fees will be deducted from any eventual reimbursement. SALAR.IT shipments are insured against theft and accidental damage at no additional cost to the Client. Once the shipment reaches the destination, the goods are no longer insured.